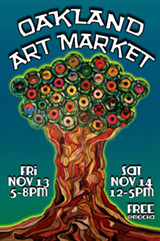 Fri., Nov. 13, 5-9 p.m. and Sat., Nov. 14, 12-5 p.m. 510.987.8560 Free. Mocha.org. 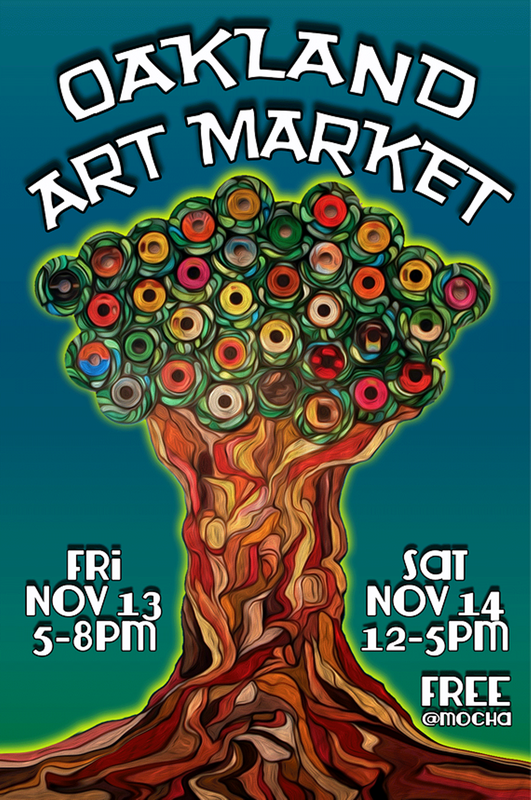 Next up in East Bay alternative holiday shopping experiences: The Museum of Children’s Arts (1625 Clay St., Suite 100, Oakland) will be hosting an Oakland Art Market pop-up on Friday, November 13 (5–8 p.m.) and Saturday, November 14 (noon–5 p.m.). Spearheaded by MOCHA “Teaching Artist” Kaya Fortune, the fair will offer a sampling of gifts made by more than 25 local artists and artisans. Many of the artists will be MOCHA’s own Teaching Artists — those who lead the museum’s many youth art classes. MOCHA has been offering hands-on programming intended to inspire children’s creativity in Oakland for more than 27 years. Now, you can buy photography, clothing, jewelry, and paintings from the community of artists that facilitate that education.